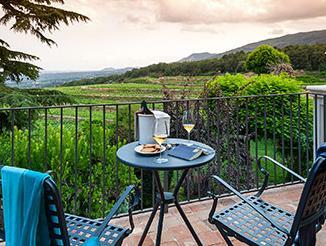 Sicily is the biggest Italian Island, so the options on what to visit can be nearly endless. It is an ancient land which boasts a number of curious archaeological sites, popular beaches, several archipelagos and islets. Furthermore Sicily offers an all-year-round appeal thanks to a perfect blend of mild climate, history, good cuisine, vibrant nightlife and, first of all, a warm atmosphere. 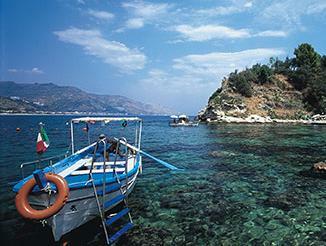 Here is a good source of travel ideas if you are planning a holiday in Sicily. Even if it is a small town on the east coast of Sicily, Taormina is one of the most visited touristic resorts in all of Italy. Perched up on a hill about 250 m above the sea, Taormina is about midway between Messina and Catania, a good base for day excursions in eastern Sicily. Taormina’s history dates back to the 4th century and its beauty is mainly done by the presence of important monuments and historical beauties as the Greek Theatre, stage of many concerts and cultural activities. Among the best things to visit in and around Taormina, a special mention must be dedicated to Giardini Naxos, Isola Bella and Mazzarò. 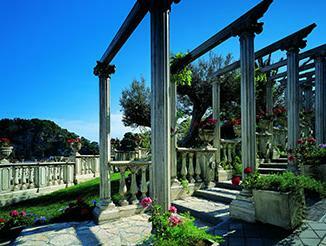 Siracusa” in Italian language, is a stunning town on the south-east corner of the island. It can be split into two different areas: Ortigia island, which is linked to the mainland by a short footbridge, and Siracusa main town. It was the most important Greek city for a long period and you can enjoy is ancient past while visiting its archaeological area which loads of monuments, including temples, a theatre, an amphitheater and a necropolis. Ortigia, also known as Città Vecchia (Old City), is a pleasant place for strolling, and much of the island's charm lies in wandering down narrow medieval lanes. Located in the Mediterranean Sea between Malta and Tunisia, Lampedusa is the largest of the Pelagie Islands, an island group that includes Linosa and Lampione islets. Located on the southern part of Lampedusa island, in a natural park, you can find the Spiaggia dei Conigli that in 2013, was voted the world's best beach by travel site TripAdvisor. It is characterized by fine white sand, crystal-clear waters and a shallow seabed . In front of the beach there is the homonymous island, which unfortunately cannot be visited: its access is monitored 24/7 in order to protect the turtles that lay their eggs on the beach. Caltagirone, Militello Val di Catania, Catania, Modica, Noto, Palazzolo, Ragusa and Scicli are the eight towns in south-eastern Sicily that make up the fascinating Val di Noto. Since 2002 it has been part of the UNESCO World Heritage Site because it represents a “considerable collective undertaking, successfully carried out at a high level of architectural and artistic achievement”. Generally listed as one of the 'must-see' tourist attractions of this part of Sicily, Val di Noto is characterized by little, but absolutely gorgeous towns, with historic centres composed almost entirely of crumbling Baroque palaces, churches and houses. Formed by volcanic activity, the Aeolian Islands are seven small inhabited islands sourrounded by the Tyrrhenian Sea in the north of Sicily: Lipari, Vulcano, Salina, Stromboli, Filicudi, Alicudi, Panarea and Basiluzzo. The largest and most touristic island is Lipari but travellers are also attracted to the opportunity to hike up to the craters of Vulcano and Stromboli, the still active volcanoes of the archipelago. Furthermore, after the sunset, you can fully enjoy the starry sky, thanks to the municipality’s decision to avoid putting road lights. The Aeolian Islands are listed by UNESCO as World Heritage Sites. Best known as the city of temples, Agrigento is placed on the southern coast of Sicily. Located just south of the “modern city” and nestled among olive trees on a ridge near the sea, there are some of the best-preserved ancient Greek temples in the world. The Valley of the Temples is a magnificent collection of seven temples from the 6th and 5th centuries BC. Agrigento boasts not only ancient and fascinating ruins, but also Baroque architecture, as well as sparkling beaches, marvelous islands and crystal-clear waters. Loved by tourists and locals, this beautiful Sicilian corner is the ideal location for relaxing sunbathing and charming sunsets. Cefalù is a sea destination in the Province of Palermo, located on the northern coast of Sicily. Just a few steps away from the historic centre and from its winding Mediaeval streets flanked with all manner of shops and restaurants, you reach the golden-coloured beach of Cefalù. On the eastern coast of Sicily, a short journey from the Strait of Messina, lies the UNESCO World Heritage site Mt. Etna: the Sicily's greatest natural attraction and also its highest mountain. Furthermore, it is one of the world's most active volcanoes, and the most active one in Europe. The height of its summit changes with each eruption, and although over the centuries a few lava flows have reached the coast, it is one of Sicily's main tourist attractions, with thousands of visitors every year. Mt. Etna offers skiing holidays in the winter months and breathtaking hikes in the woods during the summer. Palermo is the Sicily's capital and besides its marvelous artistic treasures from different eras make this territory special and unique, Palermo boasts also a beautiful seafront. Mondello is Palermo’s city beach, usually crowded, but still worth a visit: the beach lies between the scenic Monte Gallo and Monte Pellegrino; its sand is soft and pale-coloured, the water crystal clear. Once in Palermo, do make sure also to visit its open air markets: Vucciria, Ballarò, and Borgo Vecchio. Known as “the Sicilian Caribbean”, the beautiful beach of San Vito Lo Capo lies on a bay between spectacular mountains that appear to be sinking into the sea. It is popular with local climbers. This great beach is an homage to the Mediterranean: white sand, stunning crystal clear waters and an amazing view of the surrounding Zingaro Natural Reserve. Shaped by nature over the centuries, Zingaro reserve was Sicily’s first protected area, created in 1981. It is a real paradise of nature for the great variety of natural environments that characterized its 1,600 hectares. You’ll be amazed by the beauty of the Archipelago with crystalline waters, composed of three islands and two islets, it belongs to the province of Trapani. Favignana is the largest and better equipped island, also there are Marettimo with white low houses and blue doors, and then Levanzo, which has only 200 residents, therefore represents an ideal destination for those who want to spend a peaceful and relaxing time off. Part of the Archipelago are also the islet of Formica and the rock of Maraone. The Nebrodi are part of the Sicilian Apennines; the landscape is characterized by asymmetrical mountainous reliefs and a very rich vegetation. The Park is divided into four areas: integral reserve area, general reserve area, protection zone and control zone. The Park hosts a rich fauna with small mammals, reptiles and many species of nesting birds. Points of interest within the Park are: Rocche del Crasto, Cascata del Catafurco, Cascata di Mistretta, Monte Soro, Biviere di Cesarò, Lake Maullazzo, Monte San Fratello, Bosco di Mangalaviti, Serra del Re. It is an ancient Greek city situated on the south-western coast of Sicily, which is one of the most famous archaeological sites in Sicily and the largest in Europe. Many buildings were damaged by the earthquakes, that occurred during the Middle Ages, but the remaining ruins stand out with their white colors against the blue sky and blue sea just opposite the site. You can mainly find the sculptures, from the excavations of Selinunte, in the National Archaeological Museum of Palermo. It is situated 110 km from Sicily and 70 from Tunisia. The island looks almost like a lunar landscape: it is of volcanic origin, so its territory is dark in color with some areas covered in green but alternated by barren black hills and lava flows. There are also caves along the coast and their inside is populated by natural pools with water at different temperatures, as if you were immersed in a sauna. Don’t miss the Lago di Venere, a basin of calderic origin, which is worth a look! 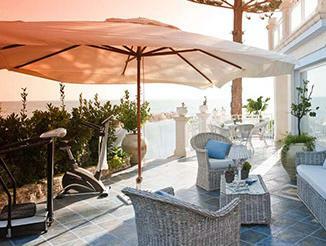 Situated at the foot of the impressive Mount Etna and overlooking the sea, you will see Catania. The city was founded by the Greeks in 729 BC and has a rich history in terms of cultural heritage. Almost entirely rebuilt in the 18th century, after that the earthquake destroyed it in 1693, today looks beautiful in its Sicilian Baroque style. Places of interest include the Odeon, situated in the historic center, next to the Roman theater, the amphitheater, the Ursino castle, the elephant fountain.